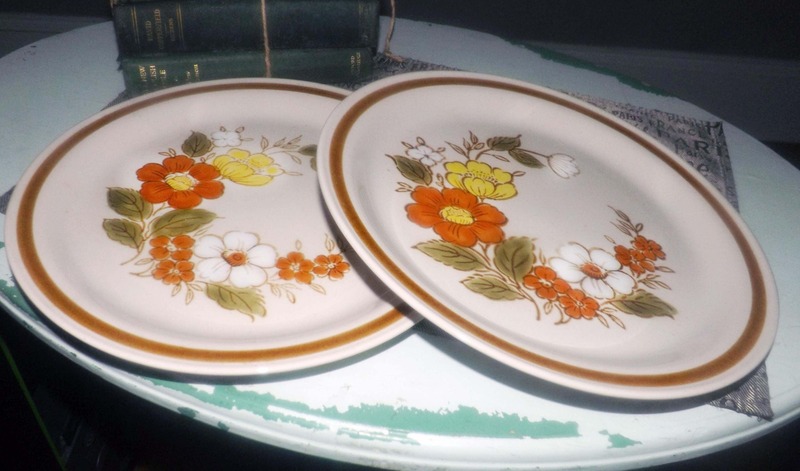 Vintage (1970s) Mountain Wood Trellis Blossom stoneware dinner plate. Made in Japan. Orange, white, yellow florals, greenery, brown band. 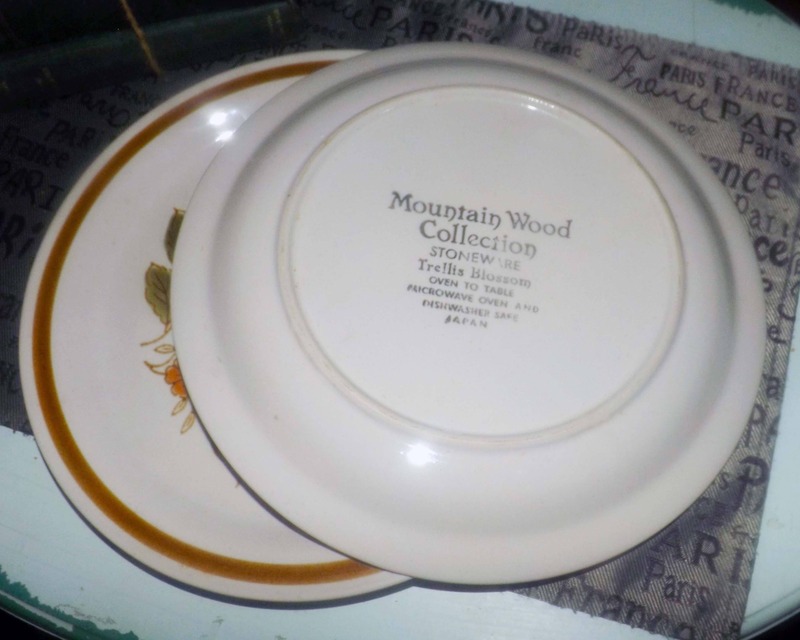 Vintage (1970s) Mountain Wood Collection Trellis Blossom large, stoneware dinner plate. 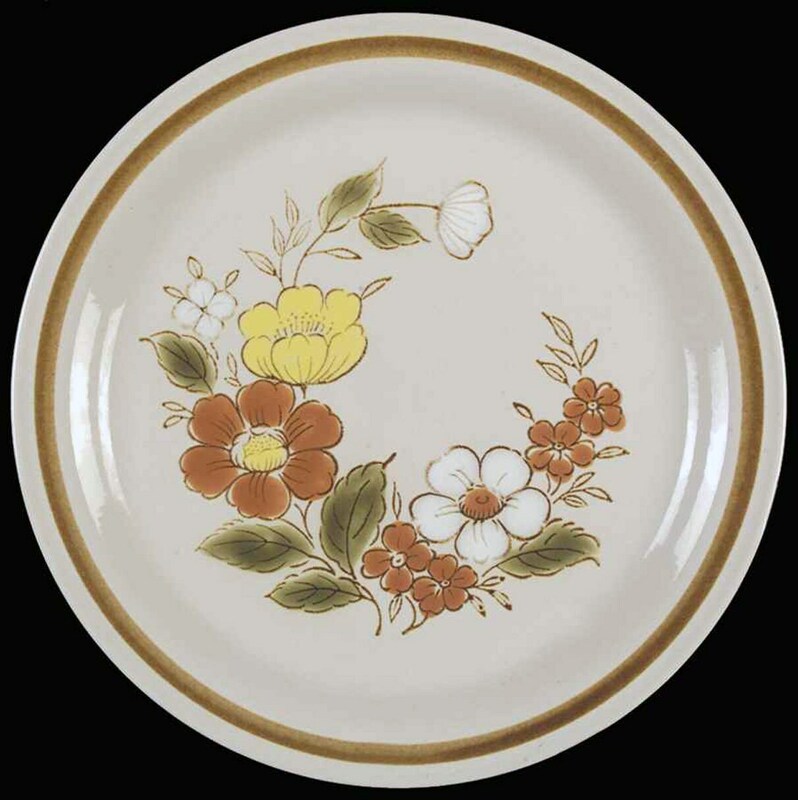 Made in Japan, Trellis Blossom features lightly embossed orange, white and yellow flowers and greenery set onto a cream-colored ground with a brown perimeter band. In EXCELLENT! condition with NO! chips, nicks, cracks or fleabites, NO! crazing and NO! marks or stains. There are a couple of VERY LIGHT! 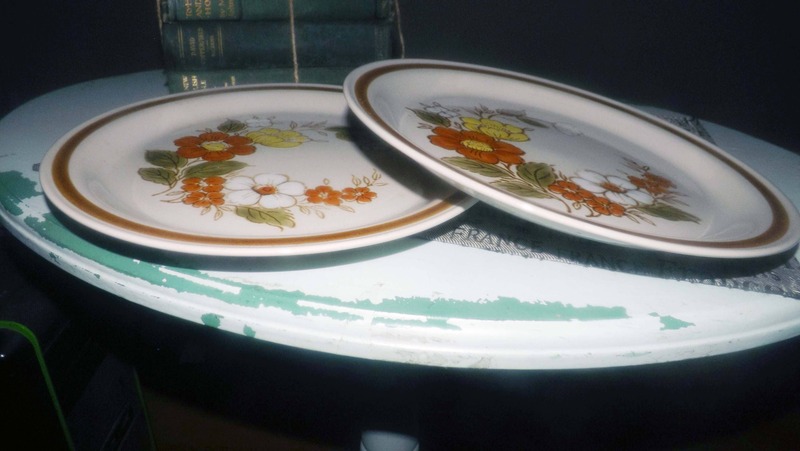 utensil marks to the cream surface of the plate, but indeed they are VERY LIGHT! to the point of almost imperceptible. The orange, white and yellow florals and greenery are bright and vibrant with NO! fading apparent. Approximate measurements: 11-1/4" in diameter with a slightly coupe shape. Rated as oven-to-table and dishwasher safe though we always do recommend the hand-washing of fine china, ironstone and stoneware.